Considering Filing for Bankruptcy in Hawaiʻi? In most cases, all it takes is one catastrophic event or one turn of bad luck to take you from financially stable to drowning in unmanageable debt. Perhaps you suffered an injury or illness that left you with crushing medical debts. Maybe you lost your job or made an investment that failed to pay off. Whatever the reason, if you are struggling with overwhelming debt, then filing for bankruptcy may be a viable option to help you reclaim control of your finances. Despite the stigma sometimes associated with bankruptcy, this process can help you end creditor harassment, save your house from foreclosure and discharge certain debts that you cannot repay. 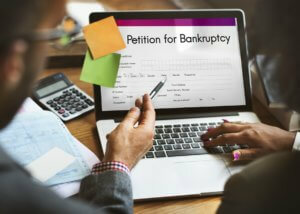 The details of the process will depend on your circumstances when you decide whether to file for bankruptcy. However, the end goal is still the same: eliminate your debts and give yourself a fresh start financially. There are two main types of consumer bankruptcy: Chapter 7 and Chapter 13. Although either can relieve you of unwanted debts, they work very differently. An experienced Hawaiʻi bankruptcy lawyer can offer you advice on which choice is best for your unique situation, and may be able to offer you bankruptcy alternatives as well. Below, local attorneys explain the basics of both types of bankruptcy and list the exemptions you may be able to use in your case. Liquidation of non-exempt assets. When you file Chapter 7 bankruptcy, the court appoints a trustee who examines your finances and assets. Hawaiʻi bankruptcy laws allow you to automatically keep certain property (see below). Depending on your situation, most or all of your property may be exempt. However, the trustee will liquidate or sell all non-exempt property, and use the money to pay a portion of your outstanding debts. What Are the Hawaiʻi Bankruptcy Exemptions? Pensions. ERISA-qualified benefits deposited over 3 years before filing bankruptcy; and those for firefighters, police officers, and public officers and employees. Wages. Unpaid wages due for services of past 31 days; after 31 days, 95% of 1st $100; 90% of 2nd $100 (80% of rest), and prisoner’s wages held by Dept. of Public Safety. The bankruptcy process can be complex, so if you have questions or concerns about some aspect of Hawaiʻi bankruptcy law, then feel free to ask the lawyers. Alternatively, if you need debt relief now, then consult our local listings to find a qualified attorney in your area.